A pen is more than just a writing tool and we know that better than anyone. 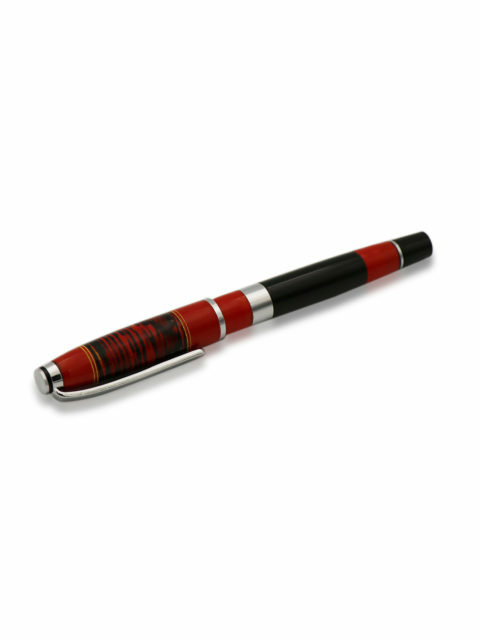 The Lacquered Black and Red pen is the perfect blend of style and quality. 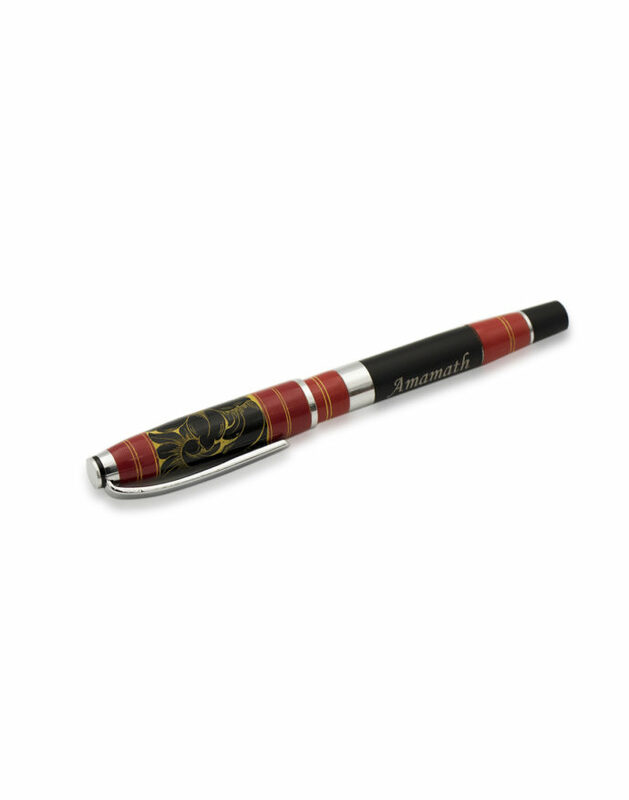 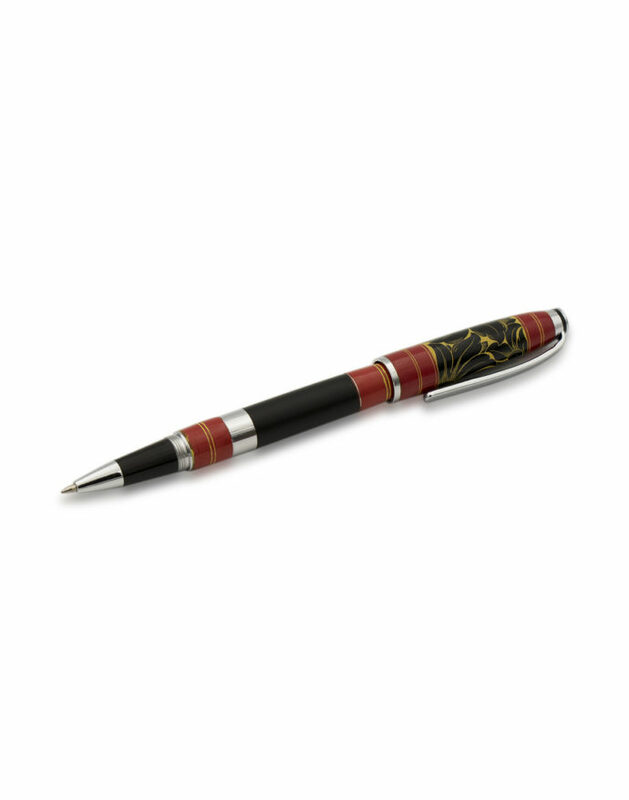 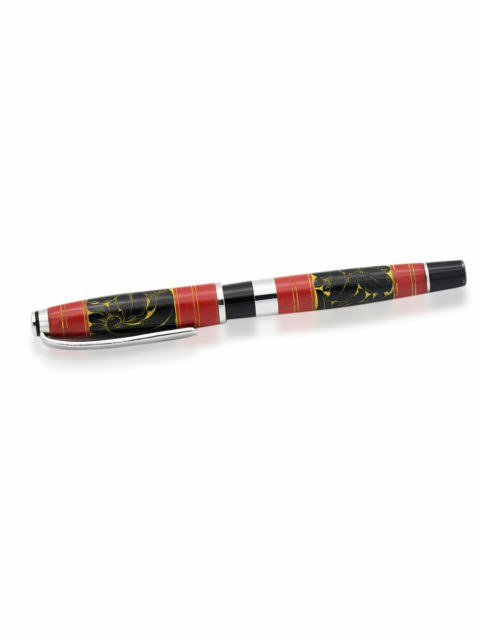 A masterpiece like no other, this pen is a treat for the eyes as it captures the traditional lacquer style of red, black and yellow along with it’s fine drawings. 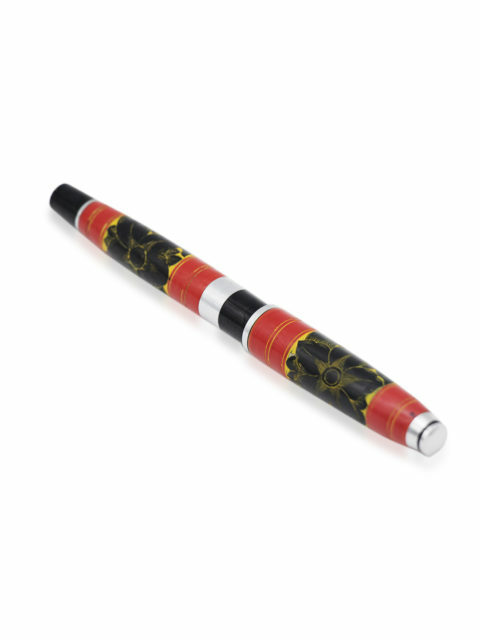 Reminiscent of the rich culture of Maldives, this pen delivers a high-quality writing experience with a premium touch and feel due to its high-quality finish. 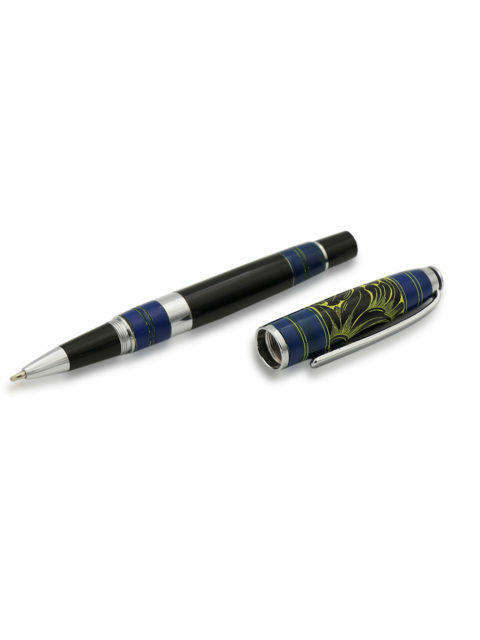 A pen surely needs to be functional, but it does not need to be boring. 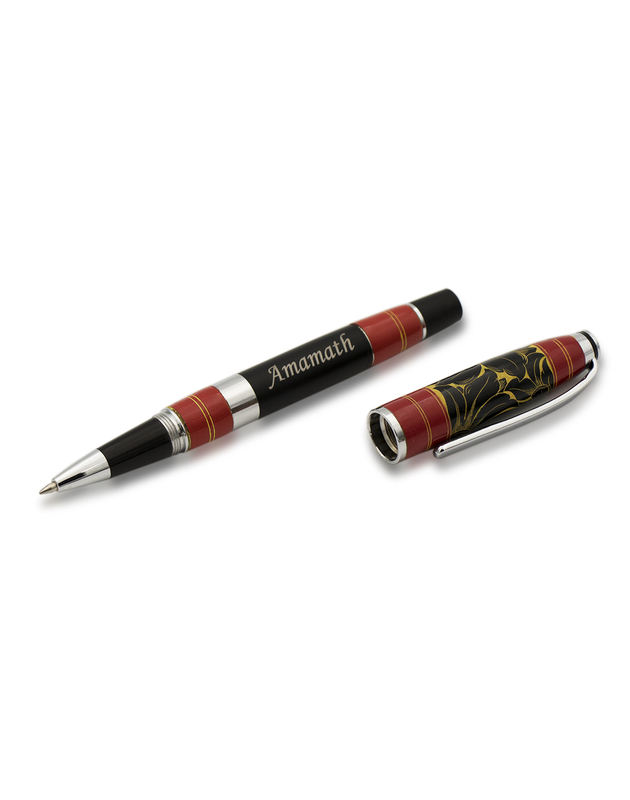 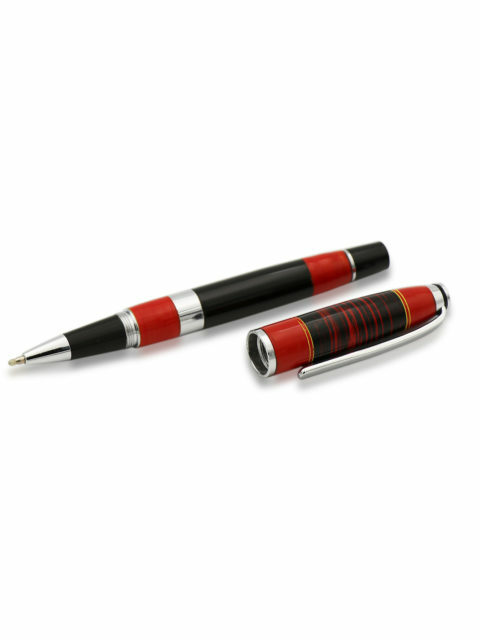 The fully lacquered finish of the Lacquered Black and Red pen features alternating bands of red and black with a faint hint of yellows at first glance. 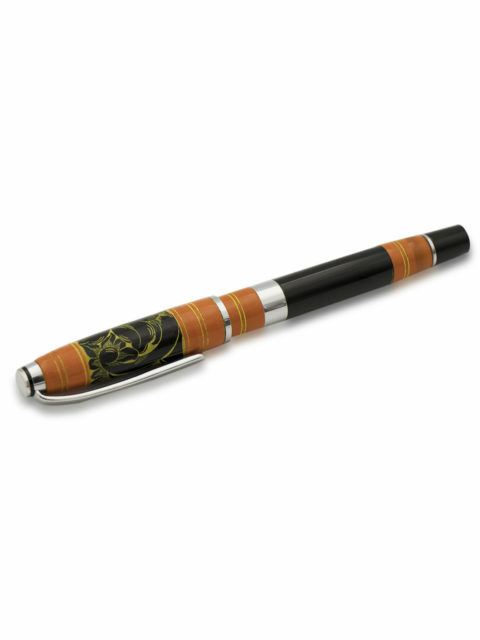 Decorating the black bands in traces of yellow is the pattern of the flower. 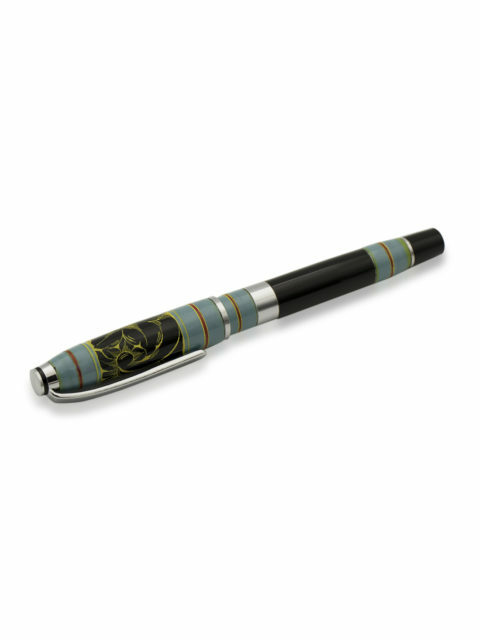 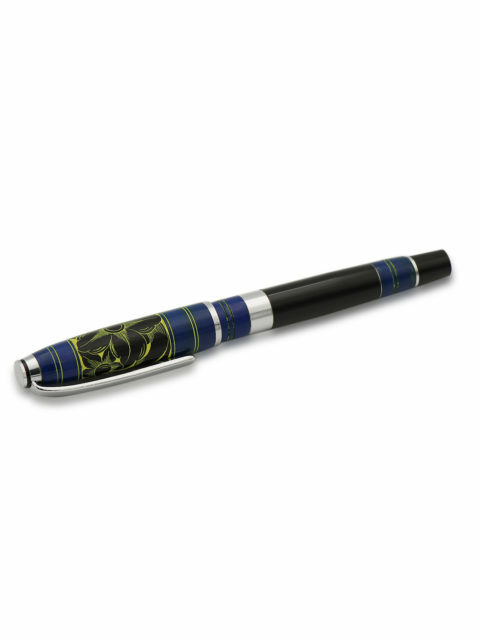 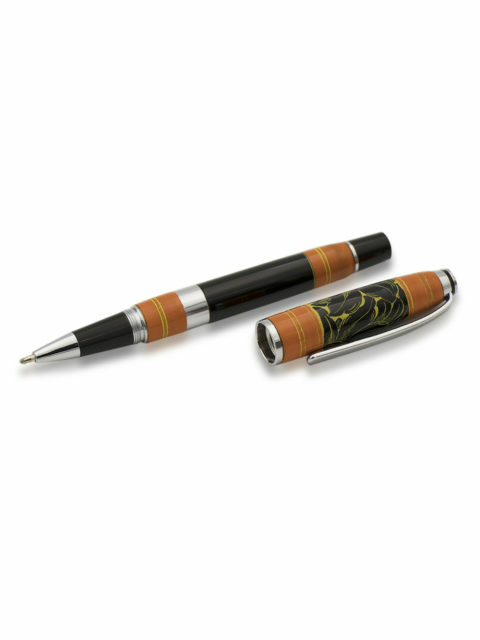 The high-quality lacquered finish coupled with the colors and patterns that remind of the rich culture of Maldives give this pen quite the authentic and exotic appearance. 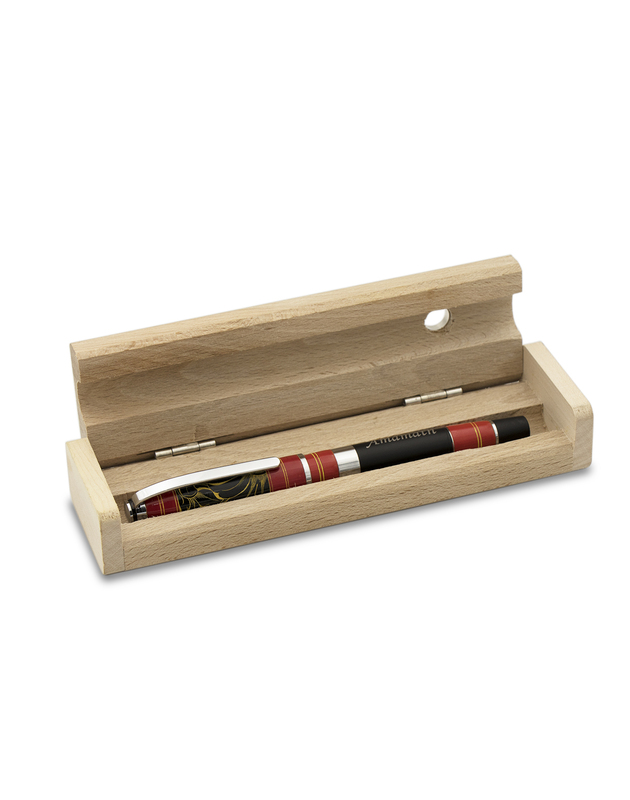 Get it now for yourself or maybe even for a loved one or a friend as the perfect gift. To add a personalized touch and feel to it you can also choose to have your(or anyone else’s) name carved onto the side of the pen.